Over the past four years of full-time house sitting, we are asked repeatedly by home owners and new house sitters, which house sitting websites we recommend. With more and more house sitting sites popping up all the time, how exactly do you decide which is the best house sit website to join? House sitting websites do vary in price and also in the features available, so you may find yourself confused or even overwhelmed at first. But don’t worry, we’ve got you covered. There aren’t many sites that we haven’t tried and tested over the years, as both home owners looking for sitters, and as house sitters ourselves. So the good news is, we’ve made it easier for you to make the best and right decision with our ultimate review of all of the most popular house sitting websites. Which house sitting site is best for me? If you’ve arrived here with no idea what house sitting is, then let us explain. Very simply put, house sitting involves a home owner leaving their property, possessions and pets while they go away, and entrusting them to one or more house sitters. A mutual agreement built on trust entitles the house sitters to live in the house for free in exchange for taking care of the pets and looking after the property. All of the house sitting websites that we review are based around this trust exchange. It is possible to use paid pet sitters too but they tend to be advertised on specific websites for paid services. We compare and review the options available to help you find great house sitting jobs around the world. We review the top 5 international house sitting websites but also give links and information about some of the country specific house sitting sites. You’ll find these sites in countries where house sitting is especially popular like the UK, USA, Mexico, Australia & New Zealand. Without doubt Trusted Housesitters is the largest and most popular of the international house sitting websites, with a wide range of assignments in countries all over the world. But we’ve discovered that each house sit platform has their own unique features and benefits. All subscriptions are shown in USD $ unless indicated. Now the largest and probably most well known of the international house sitting websites, this is the platform where we find most of our house sits. You’ll find house sits all over the world, but they are particularly strong in the UK, Australia and the USA and they have the most international house sitting assignments to choose from. Although they are the most expensive, the huge choice will increase your chances of selection. Home owners are charged the same rate as house sitters for membership. We personally like this as we think it shows that home owners are committed to the assignments they list, and less likely to be “testing” the water as can happen on some other free house sitting sites. If you want to join as both a house sitter and a home owner you will get a discounted rate. You do need to be 21 or over to join TrustedHousesitters. This website is also run as a professional business with a team of 50+ people including a 24/7 customer care team. The website has been improved and updated time and time again over the years. There are a number of helpful filters, including the option to select house sits that are “family friendly”. You can view independent reviews on Trust Pilot. Update 2019 – There is a NEW TrustedHousesitter’s app available on both iPhone and Android devices. A possible negative for the “newbie” house sitter is the level of competition for the very best assignments. But, don’t let this put you off. Set up “email alerts” and apply to house sits as soon as you can. Spend some time creating a stand out profile and video. Look for sits with less applicants (you can see how many have applied – a nice feature), and you’ll find it easier to be accepted with the advantage of quickly building those all important references. Then focus on the more competitive sits once you’ve established your credibility. We offer our readers a 25% TrustedHousesitters discount on annual memberships. For NEW home owner and house sitter subscriptions use this link – your discount will be automatically applied. There is no need to use a code, the discount will be shown automatically at check-out. Nomador was originally operated as a French house sitting website called Ilidor. Its French connection means there are still a lot of house sits in France, but the business is now truly global. So, international registrations are prolific. We found the site a little more difficult to navigate in terms of pre-registration browsing, but once signed up it is full of great tools and helpful advice for house sitters and home owners alike. Nomador also has a unique “Stopover” feature where home owners can register to offer free accommodation to members in-between house sits, or simply to build friendships. A bit like couchsurfing for house sitters! They also have a filter for assignments that are suitable for house sitters with reduced mobility. The ethos of the platform is to grow the sharing economy and build community and trust – we think they have really succeeded with this! The rate is the same for both home owners and house sitters. There is also the “Nomador Discovery Option” available FREE OF CHARGE which allows new house sitters to apply for up to 3 assignments. This free option extends to home owners too, – they only have to pay if they want to contact house-sitters directly themselves. HouseCarers was the first platform to offer a house sitting match service back in 2000. A long-standing, highly rated international site, with listings in countries around the world. Definitely worth considering, and the website has had a major overhaul so the user interface is much easier to use and with more features than before. HouseCarers has a limited FREE TRIAL although you can’t upload photographs or contact home owners. You will get daily alerts so it could be worth a try just to see what you get offered. There is no charge for home owners on this site. HOMEOWNER UPDATE MARCH 2019 – There is now a premium membership for Home Owners, for a small fee of $25 USD. For this you receive a verified “supporter” badge on your profile, you can add private notes to a house sitter profile, you can participate in a reward program, and your 12 month membership is extended to 18 months. We secured our first long term sit of 2016 with HouseCarers. We looked after a beautiful luxury house sit in Australia, with a pool and a fabulous view! We were very happy with their service and the ease of use of the website and have remained members since we first joined. We’ve also negotiated a special 10% discount for house sitters – click here for your automatic discount. They don’t have so many house sitting assignments, but founder Lamia Walker offers a very personal house sit match service. On this smaller site your chances of securing a house sit assignment are much higher. There is an option when searching to filter “available sits” only, as the site does show completed assignments too when you first browse or search sits. Home owners pay the same as house sitters. We can offer a special signup discount with HouseSitMatch which gives you 35% off new memebership – simply use code 35HSMAG at this link. This site also went through a major overhaul in 2018 with some great new features including ID checking for both home owners and house sitters. This is another good international house sit platform that gets regularly updated and improved. The site is inexpensive to join at USD $20 a year and so you’ve nothing to lose really at this price! It’s currently the cheapest house sitting website (of those that charge). It has a good messaging system and a great house sitting jobs search system with a useful map locator. There’s lots of relevant information to help you get started and they have some good downloadable resources. Home owners join for free. Not all house sitting websites cover international assignments. Some prefer to focus on one particular country, such as the UK, or a region such as Australia & New Zealand. If you are planning to house sit in the UK, USA, Australia, New Zealand or Mexico, then you might find it beneficial to also subscribe to one of these more regional websites. Because some of the platforms are free for homeowners, some will have signed up to a larger international sites as well as well as a regional website, so you need to weigh up whether you think it’s worth it. Australia is a great place to house sit. Many Aussies love to travel and usually for extended periods. This means properties are available throughout the year in some great and often interesting locations and there are more country specific house sitting websites in Australia than in any other countries. And remember that HouseCarers are based in Australia, so whilst an international site they have a lot of experience of Aussie house sits and feature many. Update Feb 2019 – House Sitters Canada is the newest addition to the world’s largest network of regional House Sitter sites. For a limited period of time they are offering 2 Years of FREE membership while they build their database of members. House sitting in the UK is extremely popular and there are two great country specific websites. In our first year of house sitting we subscribed to House Sitters UK and I find their website really easy to navigate. We had instant success when we joined up, finding two consecutive house sits within just a few weeks. They have a great instant messaging system, cost only £20 for a year and currently have over 100 assignments listed. Now we use TrustedHousesitters for all our UK house sits as they have so many listings and we find it easy to get selected if we apply straight away. HouseSitMatch is also UK based and you’ll find less competition for the UK sits. They charge $79 USD a year. Rates are the same for home owners and house sitters. If you are both, there is NO additional charge. Once a member you can use either service. 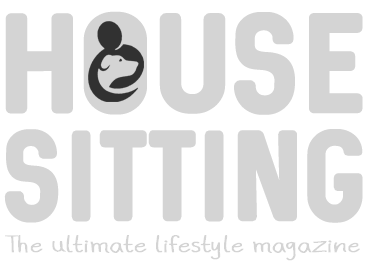 House sitting – The Ultimate Lifestyle Magazine is an unbiased free online publication that is available to download as an Apple or Android app version. If you don’t have a mobile device, you can read a simple PDF version on your computer. You’ll find lots of informative articles about how to get started in house sitting. Download Issue 1 for the best “getting started” articles or go to the “getting started” pages here. We show you all the tips and strategies you’ll need to secure the assignments of your choice time and time again. You’ll discover all the secrets to becoming a credible, well respected house sitter, even as a newcomer. We basically short-cut the research and trial and error period, fast-tracking you to successful house sitting. As well as easy to follow, step-by-step videos, you’ll find all the checklists and downloadable resources, you will need to get started. You’ll also get the ongoing support of our active Facebook community where you can share your adventures, and get valuable feedback from like-minded travelers. Your might also consider joining the House Sitting Academy. Although a little more expensive at $297 US it does provide on-going lifetime help and advice for sitters with weekly mentoring and training, and access to the exclusive inner circle referral group. We’ve found this option alone has paid for itself over and over. Of course house sitting isn’t just about free accommodation. There are responsibilities that are an important part of the relationship between home owners and sitters. These should never be taken lightly. These courses guide you through the process of becoming a professional house and pet sitter, ensuring that the experience is win-win-win for you, the home owner and the pets! We hope you’ve found this article useful – if you have any feedback on house sitting platforms please use the comments below. Affiliate links are used in some cases but these do not affect your price which will in fact be lower. These small commissions help us keep House Sitting Magazine FREE of any subscription charge. I just wanted to say that I joined Trusted Houesitters as a ‘Newbie’ at the beginning of last year. As your article mentions i did think that i would find it difficult to get on the ladder so to speak, with so many people with experience that had been house sitting for some time. They all had glowing reviews and I started with just one reference. However i discovered this was not the case. I was disheartened, as the very first one did not reply but the next, a cat recovering from a broken leg and I was confirmed for the sit immediately. This was followed by a sit with two dogs and then one with a dog and four horses and it really just took off from there. Now about thirteen sits later. So far i have recieved glowing five star reviews and have just returned from a lovely house sit in Queensland Australia for six weeks. Now I find people contact me and I end up turning down far more than I accept. Being a ‘Newbie’ definitely does not put you at a disadvantage in any way. It has all been great. Hi Alison, Thanks so much for sharing your experience, and great to hear that you didn’t have any problems getting sits as a newbie with TrustedHousesitters. We had a similar experience when we first started out. It took a little longer and we refined our application process, but we’ve happily got sits repeatedly year after year and had nothing but great house sits. We worked hard on perfecting our profile and personalising our applications, which I think really helps when starting out. We have had feedback from new members through House Sitting Magazine, who have sometimes struggled initially, but often when we’ve given them some tips about improving their profiles, things have turned around for them. Thanks again! Thank you for this thorough information on house sit sites. It’s just what I was looking for. I’ve been house sitting in Seattle for 8 years but would like to start doing it internationally this Summer. Have asked to join FB group as well to interact with others. You might find some tips for transitioning from local to overseas sitting. Good luck with it and see you in the Facebook group! Thank you for sharing such helpful info! My husband and I are expats in Germany who love to travel worldwide. We recently signed up for Nomador and are considering Trusted Housesitters as well, but we haven’t done a sit yet. Plus we just joined your Facebook group. Excited to learn from some of the pros and get to know members of the community! Thank you Carrie for taking the time to feedback, and I’m glad you found the info useful, and welcome to our Facebook Group – it’s very active and engaging in there so you should get some great information. Good luck finding your first sit, work on building up your references and if you have any questions don’t hesitate to ask us. Hi! I”m very new and used to living abroad but never house-petsitting. I want to start and wonder how complicated it really is. Since I have no referrals. I’m now in the Netherlands and would like to start with Spain. Which site would you recommend? And would you recommend more than 1 site? Secondly, is it best to start with one week here and there to get experience? Or possible to stay longer term? where you can connect with many house sitters and travelers at different stages of their lifestyle adventures. Thanks for this great article! Myself and husband are just starting out, looking into the freedom of house sitting and this article really helps! We’ve signed up to your magazine app and hoping to learn a lot to help us secure our first house sit adventure! thank you! Hi Debs and thank you for the feedback – we’re glad it’s helpful to you. Sometimes when starting out, and depending on the location you’re looking in, it’s good to sign up to a larger international house sitting platform, and one of the more localised country based sites. Enjoy exploring the magazine, there are lots of useful articles in each month’s issue, and on the website. Happy House Sitting! Thanks for mentioning our new site (www.yourhomemyhome.com.au ) – it’s great to have the support of the house sitting community! Hi Robyn-Lea and thanks for making contact. Yes we’ve had a great time in Australia. We are enjoying Fiji but will arriving in Perth on 10th March. I will email you once we are back to see where you are based. As you say it would be great to catch up and share experiences some time. Ian has Aussie citizenship so we’ll be back regularly! I will check out your updated site. Talk soon, Vanessa. Back Down Under 10th March eh? Would value the opportunity to meet up and share findings on the burgeoning world of house & pet sitting. However we’re booked to end August in Sydney and you’re in WA. But: who knows where our house sitting adventures will take us:) Vanessa, I was very interested to see your comment that Australia has more country specific sites than any other country: validates my view that it is increasingly difficult for people, particularly newcomers to house sitting, to select a reputable house sitting website from the others. So glad I came across your website. So many tips and insightful posts about house sitting. I have started house sitting in Australia and I am really loving it. As a travel writer and blogger I cannot think of a better way of travelling long term while having wonderful home for myself and affectionate pets with me. A great article Vanessa and from our experience absolutely spot on with your analysis of the pros and cons of each site we know. We’ve only been house and pet sitting in the UK since March this year and have undertaken 8 sits in that time. We’re registered with trustedhousesitters, housesittersuk and mindmyhouse and 7 of our 8 assignments have been via trustedhousesitters and one via housesittersuk, so you would have to say they are worth the extra money. Their site is easy to search and has a great system for getting feedback after the house sit is finished. I particularly like the option for homeowners to put up 4 photos, so potential sitters can see the house as well as the pets. Housesittersuk only have an option for one photo which is often the pet and house sitters are understandably reluctant to start quizzing homeowners about the size and location of the house. However, housesittersuk do have a postcode for each homeowner advert and a quick google map search will show you the half a dozen houses that share the same postcode which enables you to look around the area before applying, something you cannot do with trustedhousesitters. In my opinion, Mindmyhouse has a search system that is not very intuitive and somewhat irritating to use. You can specify a country and it gives a long list of potential assignments with dates. However, once you click on one for further details, you cannot just go back to your original search with the original search parameters or, at least, I haven’t found a way to do so. If anyone else has, please do say. Generally, I end up using the ‘back’ button and have to reset the ‘country’ parameters and the list reappears but in a different order to the original list. This is a bit annoying! I was very interested to read your views on the sites with which we are not registered as we may rethink things when our current memberships come up for renewal. Thanks Brian. Yes, I think all the sites have their good and bad points, but for me it does come down to ease of use (after availability of relevant house sits of course). I think we will always switch between them all depending on our requirements. I still maintain that it’s a worthwhile expense as a long term house sitter, considering the savings we make on accommodation. Our lives wouldn’t be the same if it weren’t for house house sitting! My plan is to keep this article updated every quarter, so if let me know if you find anything else worth including.